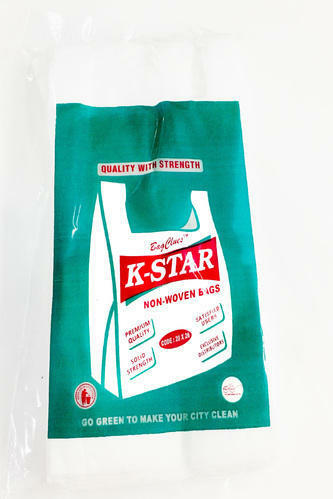 BAGCLUES K-STAR 20*26 carry bag is made up of 100% Virgin PP non-woven fabric using German Technology, which is entirely different from regular non-woven fabric. Our non-woven bags are manufactured in our plant in New Delhi and are made with German technology. Our products are 100% quality assured, safe and reliable, unmatched variety, highly durable and Eco-friendly.